For some reason I am a terrible recycler, I mean I am great at recycling food, a master perhaps? When it comes to knowing what goes in the blue bin, I’m not a star. I am surrounded by the world’s best recyclers, composters and general waste-not-ers. I know my daughter watches me, for instance, should I rinse out the dog food can more thoroughly before I toss it in the bin? Does the milk carton go in the garbage or the recycle? She knows what to recycle and how to do it and often corrects me. It’s questions like these that don’t keep me awake at night. But what does keep me thinking is what am I to do with all the bread I have in the fridge or those fading apples? I hate wasting food and most chefs feel the same way, that’s why we use corn cobs to make flavorful stock for polenta or scraps of veggies to enhance a dull broth. Bread is a real sore spot for me, I am almost all gluten free but my family is not. I find myself buying bread that the two of them can’t finish. The bun situation is the worst, there are always too many buns to burger ratio or you have to buy an extra bag of buns because you are one or two short. Then what, it sits in the back of the fridge alone getting stale? Or you make a great attempt at freezing the abandoned but by the time you resurrect them they are freezer burned and even more tasteless than when they were fresh. Remember a two posts ago I wrote about the At Home Burger, the bun issue happened for real, so I’m sharing the issue with you because I know you have the same problem, darn buns! So, use them up for breakfast the next day. 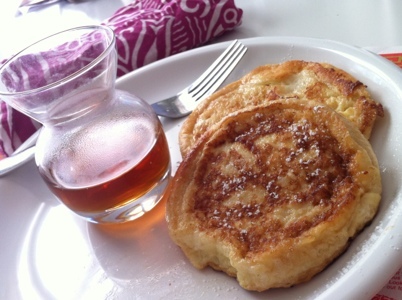 Make a regular French toast egg mixture and soak those buns in it. They cook up just right, problem solved! Now after that burger and French Toast we better get to the gym and get those kids outside to run around! Mix the egg up the night before, cover and chill to make the AM easy. Add milk, and vanilla, beat until frothy and light in color. Separate the buns, poke holes in the top and bottom, soak each in the egg mixture, first on one side, then the other. Cook both sides until golden about 5-7 minutes. Hanukkah for me is like Thanksgiving for most Americans, I think. The smell of frying potatoes takes me right back to my childhood. It evokes a warm happy, safe wintery feeling. I have a deep need to share this time with our friends, Jewish or not so I can tell you that today my house smells like a greasy spoon, in a good way. Yesterday I fried Latkes all day long and it was well worth it. Even though it is not snowing there is a perfect chill in the evening air and frost in the morning. It is good enough for me to re create the winter holiday season I have imprinted from growing up in the East coast. So here is my recipe for Latkes, I don’t drain the potatoes like most people do, they will come out fluffy and crispy just the way we like them! You can make these anytime even if you are not Jewish, everyone eats potatoes! 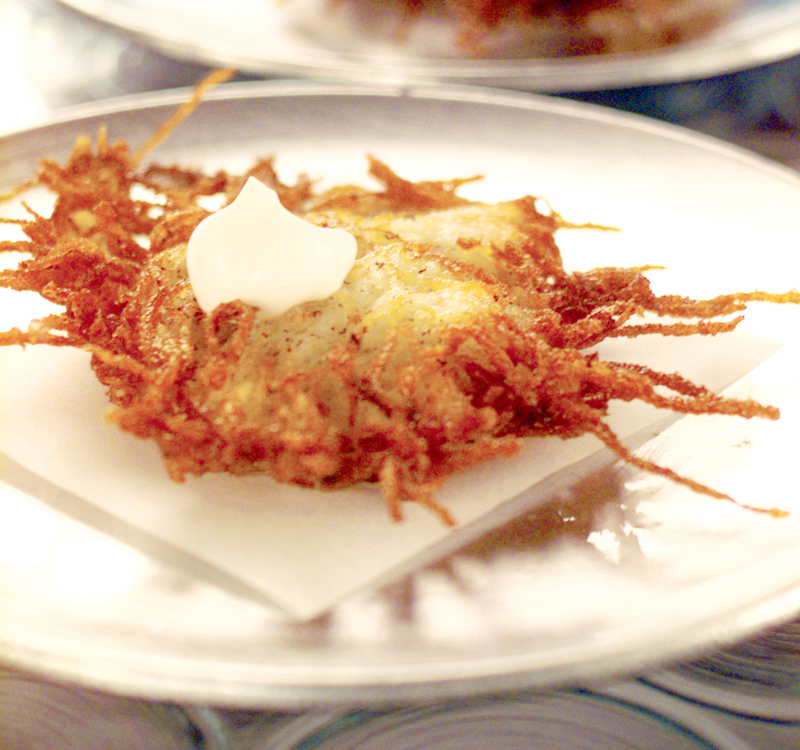 We love Latkes; we like them crispy on the outside and soft in the middle. We call the crispy outsides “hair” and the hairier the better in our family! The small hole grater is what makes these so delish. My method for making these is a little different than most recipes, just go with it. Whisk the flour, eggs, salt and pepper in a bowl. Set aside. Grate the potatoes on a fine or very small grating disk in a food processor, alternating with the onion. Mix the potato onion mixture into the egg mixture with your clean hands. Heat oil in a large skillet on medium until a bit of mixture dropped in bubbles sizzles. Be sure not to let the oil start to smoke-you want a shimmer only. Using tongs or large slotted spoon and gently drop the mix into the hot oil. Fry until edges are brown and crispy. Remove with tongs draining oil over pan. Drain pancakes on brown paper bags or paper towels. Serve hot with applesauce and sour cream on top. 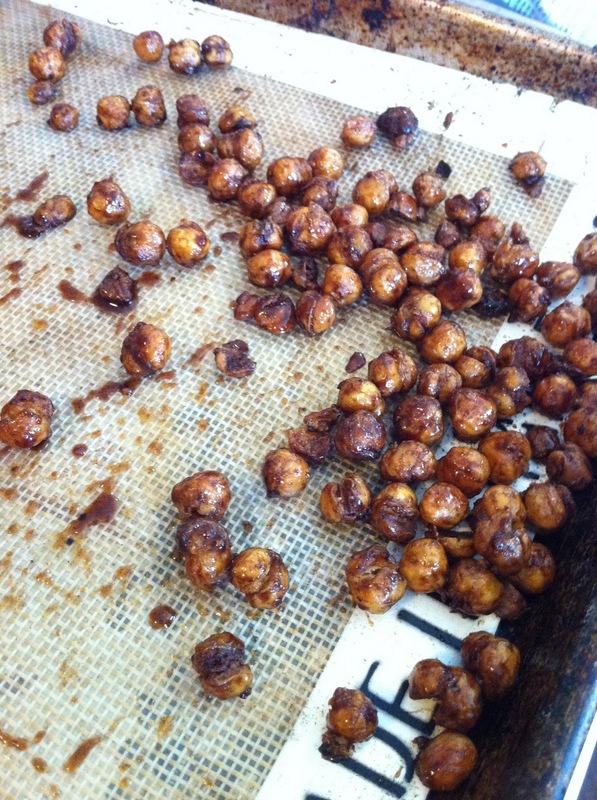 I learned to make Crispy Chickpeas with Garlic & Sage from my friend Michael Chiarello, we eat them all the time. 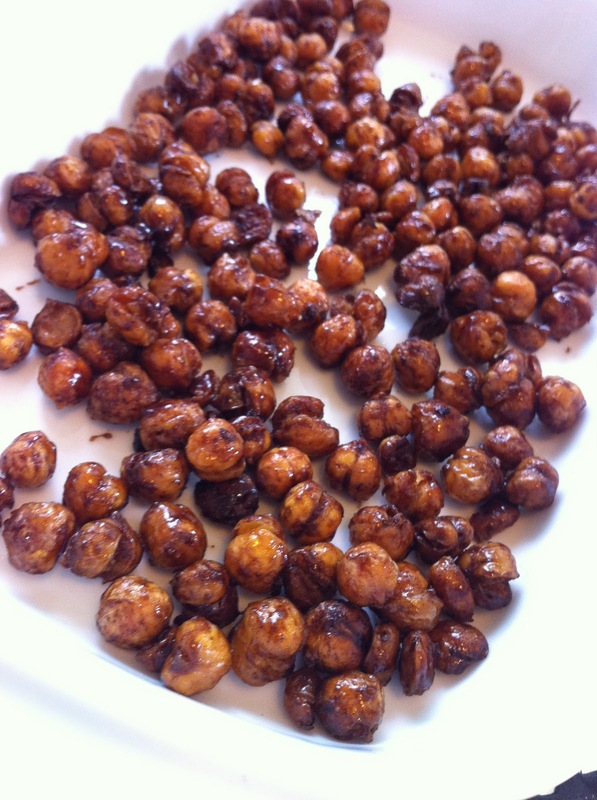 We love the crunch and the chickpeas are a healthy fiber filled snack food for the kids. We love to do a quick version of his recipe by roasting them in the oven with rosemary and salt, they always get eaten up before they get to the table! My daughter loves to go pick rosemary from the garden wash and cut it up using scissors The kids can season them and stir them, and be proud of their involvement in the dish. Chickpeas can be great in rice, eaten cold or warm, with curry, in salad they go great in just about anything. 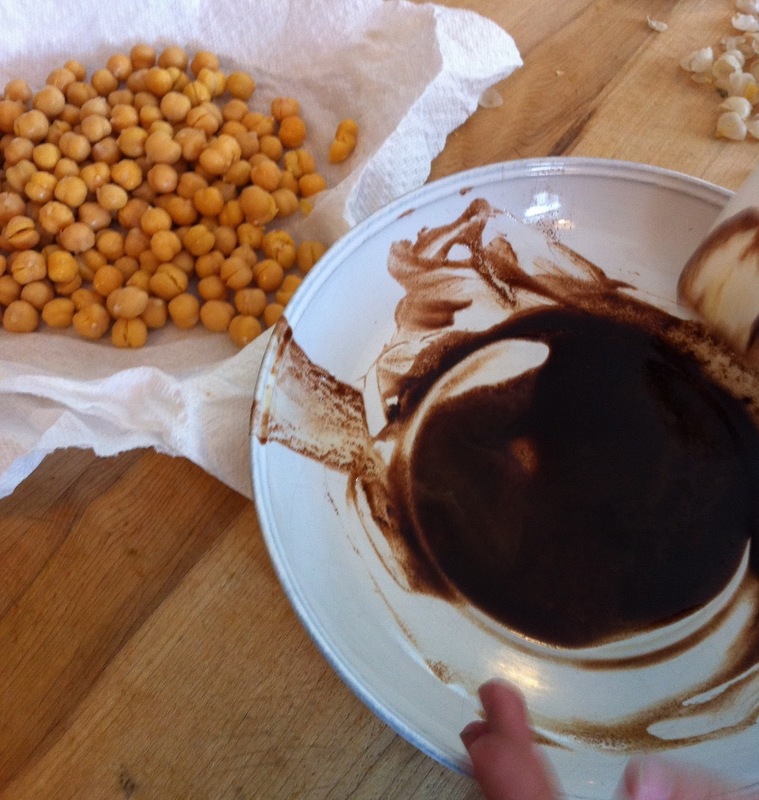 If your kids are like my daughter they may not like humus but they may like chickpeas in a different form. 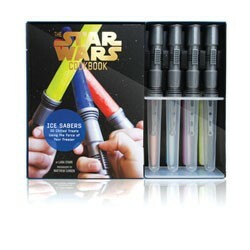 I always try to serve up ingredients in various forms and sometimes it actually works! 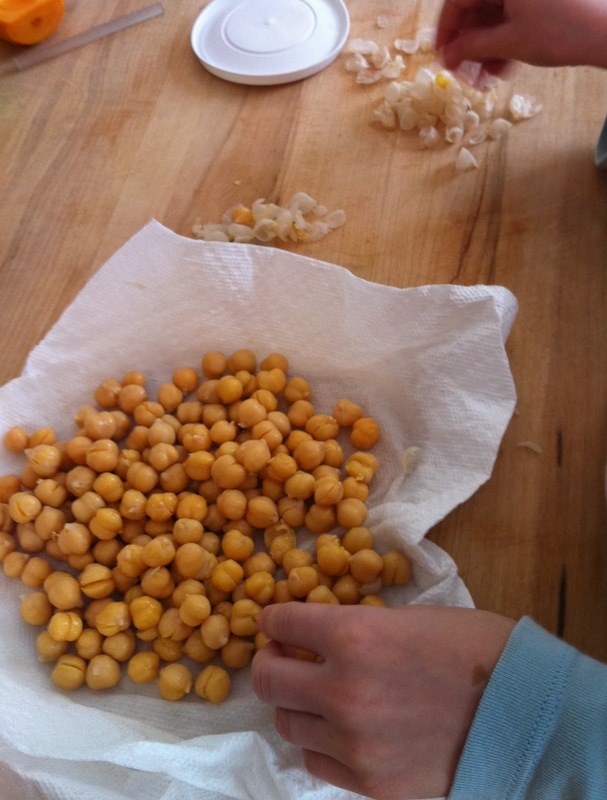 My child wont touch hummus but loves the crisp texture of baked chick peas! I was looking for another way to serve up these power packed legumes. 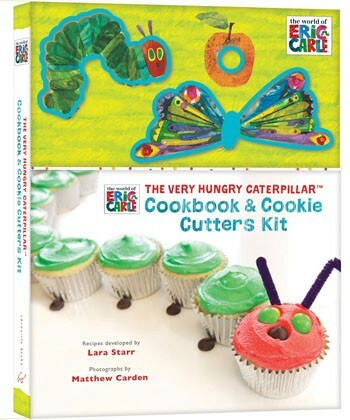 I came across a very cute video of two girls making a very yummy version of our favorite. Human Body Detectives is an adorable series about body function written by Dr. Heather about her kids adventures in the human body. Her girls also make videos about their favorite healthy recipes that they cook at home. 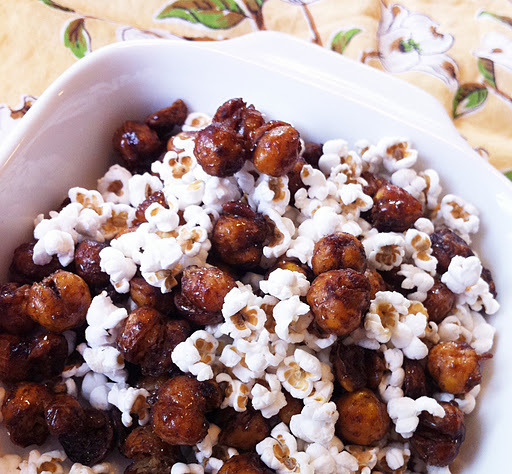 I came across their recipe for a slightly sweeter version of crunchy chickpeas I really like it, I can use organic ingredients, raw honey and control the sweetness too. You can use other spices, try adding pumpkin pie or nutmeg or some vanilla. 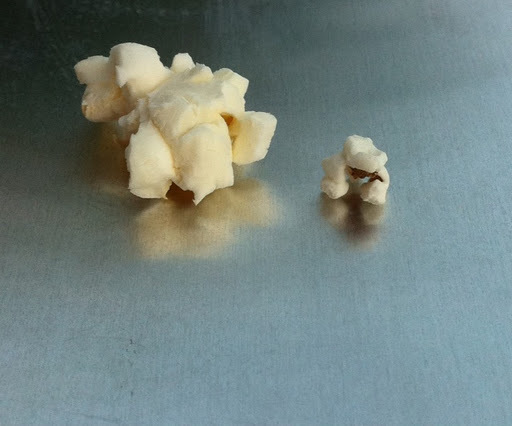 One thing we came across recently is Sorghum popcorn, it is tiny tiny popped grains, the cutest thing you ever saw! We tossed it in with the cooked sweet chickpeas for a little texture and saltiness, it was a hit. 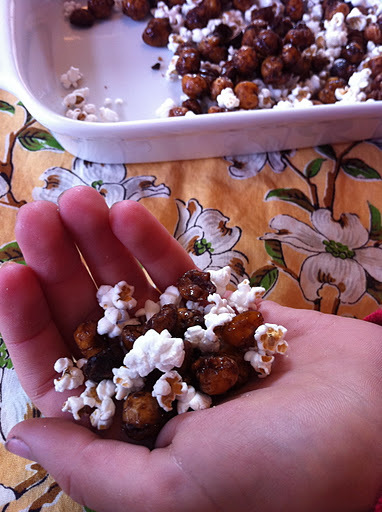 If you can’t find plain popped Sorghum just use regular popcorn it works just as well. 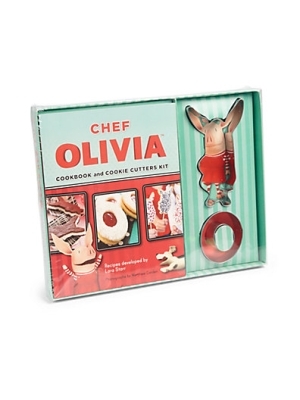 The winter holidays are on the way like a wave of sugar and glistening sparkles and you want to be armed with snacky food ideas, don’t you? Skip the chips and dip, instead put bowls of crunchy snacks all around the house. 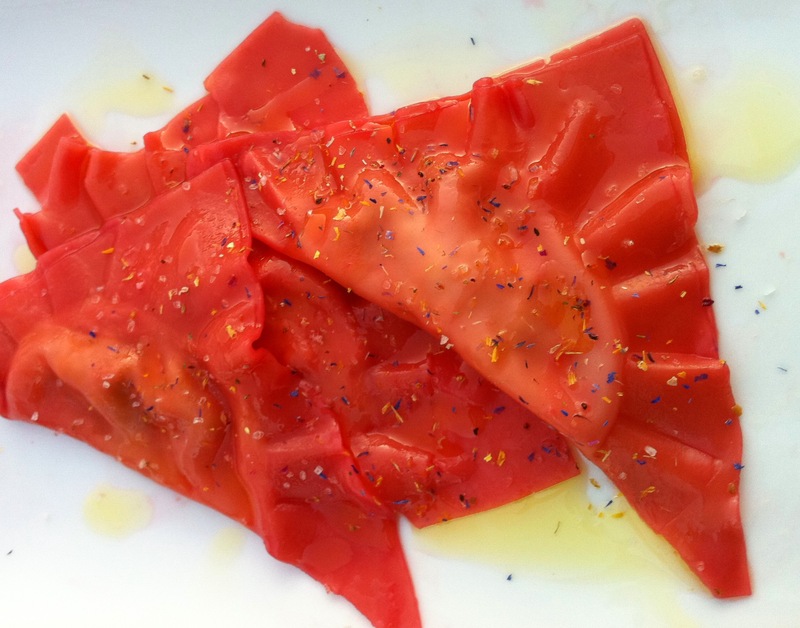 Surprise your kids and guests with these sweet gems, it’s time to break out of the hummus rut. 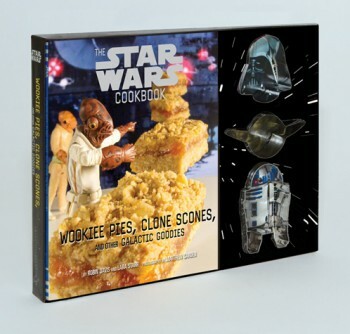 I suggest making a double recipe…. 3. Remove the outer skins of the beans, and pat dry to remove any other excess water. coat well. Place on a baking sheet. 5. Roast for 40 minutes. 7. Place back in the oven and roast for an additional 7 minutes. Cool completely add in popcorn and serve!